For your home or your officecarpet will give your interior warmth and unsurpassed underfoot comfort. From soft cut piles to ribbed and modulated textures for your home to the structured and organic styling of practical carpet tile for your corporate space. There is something special about a natural timber floor. Every floor displays its own unique warmth and timeless personality. Choose from a collection of five Australian Specis or our new en-trend European Oak Collection. 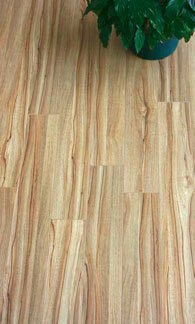 Leading the latest trend in flooring are vinyl planks. With an expansive range of looks from bleached and distressed timbers to authentic international and Australian timber species all with the practical benefits of vinyl. 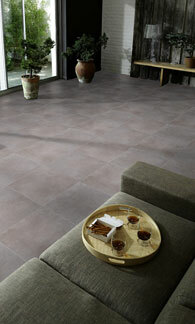 Explore the trends, the colours , the textures available in todays new Luxury vinyl flooring. Get the look of tile, timber, textures and one of the most en-trend looks, “polished concrete”. You can be daring, trendy as well as being practical with cleanable and kid friendly luxury Vinyl. 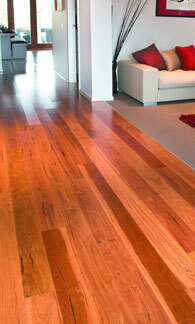 Its all about the look… Get the look of a timber floor from todays laminate flooring. This is a flooring category that has evolved and is a cost effective contender to achieving your interior ambiance. Colour, Texture and pattern. Designers out there! Here’s the place to express yourself and instill your personal flair on your interior. Rugs along with cushions and artwork are very effective in lifting or defining a space and giving it texture pattern colour and personality. 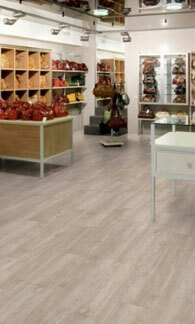 Tower is a boutique agency that represents a number of industry leading flooring brands including Pegulan. Floating Floors, Mflor, Classic Flooring and Hufflett rugs. We have a proud history where Tower has represented these brands throughout Queensland and the northern parts of NSW for over thirty years. Our small yet dynamic team has a wealth of knowledge and it’s our drive to connect you with the best products and the best professional flooring people in your area. This way assuring you of the best product, the best service and the best installation. Please feel free to browse our site, contact us for more information or use the links to the individual brands for a more in depth details of the products, their benefits, their attributes and compliances. Thank you for visiting our web site and we look forward to the opportunity to guide you on your search for your quality floor. For your home or your office- carpet will give your interior warmth and unsurpassed underfoot comfort. From soft cut piles to ribbed and modulated textures for your home to the structured and organic styling of practical carpet tile for your corporate space. Kick off your shoes as you have arrived… for soft underfoot comfort nothing beats the inviting softness of luxurious carpet. Carpeting comes in many forms and constructions but in todays world the majority is made through a process called tufting which is precise and fast which makes it more affordable without loosing its luxury and beauty. There are many styles of tufted carpet on offer and these include a cut pile made from plush, twisted or Frieze yarn, a mixture of cut and loop pile which when used together can create distinct interesting patterns and textures. 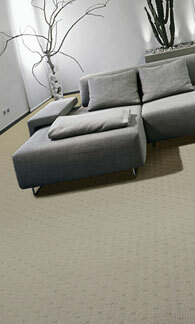 Then there is the loop pile carpet which creates a level or multi level loop design which is organic and understated. This option is often the choice for commercial applications as it is resilient and can withstand a fair pounding. Most carpets are made on the old imperial tufting machines, which produce carpet as 12 ft, broadloom, ‘3.66mt in today’s terms. This is worth remembering when calculating requirements as you can’t work off a m2 rate. This calculation is best left to a professional. In more recent times we have seen an increasing interest and use of modular carpet tile, mainly in the commercial arena. This trend can be attributed to ease of access and installation. In the main carpet tiles are offered as a square 500x500 format but in very recent times we see the advent of a 250x1000 plank format. These offer designers an extended dimension to creating unlimited modular patterns including straight, herringbone or basket weave. Carpet is always going to be an emotional selection as it is the most tactile of all the flooring types and the selection process relies on the senses of touch tone and texture. It’s the real deal! the piéce de résistance’ , the jewel in the crown! Nothing beats the patina, rich texture and pure luxury of a natural timber floor. Such is the beauty that there is an increasing trend to use these species as feature walls and kitchen island surrounds. Each tree is unique so each board is unique so every floor including yours is and will be unique. The Au-Naturale collection is a comprehensive offering with a unique cross section of Australian hardwood species including the ever popular Spotted Gum, Blackbutt and Southern Messmate along with the deep richer tones of Jarrah and Northern Reds. Alongside these the collection also offers a selection of European Oaks in a variety of finishes from the contemporary limed or the dark organic smoked look to the beautiful age old natural oak. Added to this there are a number of widths and board lengths to suit the desired appeal of the space. Being a natural and renewable resource there is a strict environmental stewardship program that controls and limits tree harvesting. This therefore limits supply and availability but at the same time ensures the longevity of our natural resource. It is with this in mind that the Au-Naturale collection has been engineered to maximize the use of this precious resource through an ingenious stabilizing lamination process and the world patented 5G Valinge board locking system. Well is this product category popular, or what? The last few years have seen the popularity of vinyl plank grow exponentially with vinyl technology having been developed over many years we now see a new alternative whereby vinyl is now being laminated onto a more rigid composite backing and offered in a plank format. To cater for a variety of tastes there are a number of board sizes on offer, there are also a number of thicknesses on offer, which once installed have little bearing on performance particularly as it is now generally accepted that the boards need to be adhered to the substrate. This said the sway will come with the choice of preferred design colour and board size to best suit your taste, décor and budget. Our collection covers most variables in format, thickness and board size, where we win is on design styling and colour. Here the ‘timber-look’ with exceptional true to life imagery and in register embossing are the most popular. As with it’s continuous format vinyl cousin the planks environmental credentials re VOC emissions which are unsurpassed and also being phylate free is absolutely safe for children. Although not immune to spills penetrating the joints, the planks enjoy the same outstanding underfoot comfort, easy clean and family friendly characteristics making it an ‘easy to live with’ product option. Probably the most practical, durable and easiest of all the flooring products to live with and today with technological advances has design imagery and embossed effects that will surprise the most vehement of critics. These days the design and colour options offered are virtually endless with contemporary tile and slate designs along with the rising popularity of en-trend polished concrete in textured grey. Then there are the timbers with designs and colours that cover tastes anywhere from the traditional and formal through to bleached modern and smooth lime washed looks. Then to keep up with modern trends there is a new and strong offering of distressed weathered timber in a variety of greyed colours. The continuous luxury vinyl sheeting used in homes today is made up of multiple engineered layers that are designed to perform to add comfort, stability, outstanding imagery and are then sealed with an embossed wear layer and topped with an Extreme surface protection layer for ease of cleaning and superior stain resistance. By the way, continuous vinyl sheeting is still the only genuine loose lay form of hard flooring and for practical ease of living you wont beat it. After all continuous sheet vinyl is still the product of choice in hospitals, aged care, schools and childcare. Why? Because it is practical and it’s easy to live with. Laminate flooring is definitely a contender when looking for an affordable flooring option and in recent years it has gone through a transformation as far as its image quality and overall product quality are concerned. The timber look is very much in vogue and no wonder with the variety of ‘get the look’ options available. Laminate timber with an interlocking mechanism is made in a variety of widths, lengths and thicknesses designed and engineered to emulate timber looks, which are clean and contemporary, distressed and rustic, dark in tone or light and lime washed, all with a variety of surface embossing to match. It is often difficult to tell the real timber floor apart from the man made laminate option. Today our laminates timber floors can be enjoyed through most areas of the home and there are also products that have the quality attributes that make them suitable for commercial use. Definitely a category of product worth exploring. Once the anchor elements of style form and function for your interior have been addressed in the flooring, walls and functional items, its time to breathe life and personality into your space by introducing artworks, cushions and Rugs. Bold and beautiful to be a hero piece and make a statement, add a splash of colour or alternatively neutral and subdued designed to blend and compliment other elements such as artworks or a view perhaps. Either way, it’s personal but it defines the character and personality of the space. Style and pattern also plays a role in creating the ambience of the interior, from bold geometrics to subdued florals, abstracts, and traditional formal motives. All these factors have an influence. Then it’s the texture, thick, soft inviting textures of a shaggy through to the casual underplayed organic woven style flatweaves. They all work on the inviting emotions of comfort warmth and sophistication. In our modern open plan way of living where a large space is broken down into various functions rugs are a great aid in helping to define a space and its function. A key to getting this to work is to use a rug that is big enough to go under the front edges of the settee and chairs in a lounge area and fill the space under the dining table and part way under the chairs. Used well, rugs will enhance, define and add a sense of inviting comfort and will portrait your personality. Interplay them with cushions and artwork and you’ll be surprised at the subconscious contribution they make.